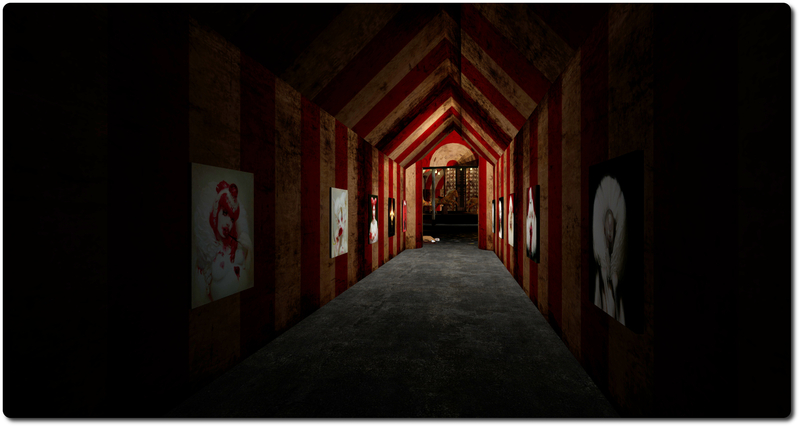 We’re in the run-up to Halloween, and as expected, the Destination Guide is getting lots of entries suited to the time of year – including the Lab’s own Haunted Halloween Tour, which I recently tried. Some of the offerings for this Halloween are new, and some are back for a further round of fun / mayhem. Two of the latter are Return of the Nightmare Walkthrough, developed by the folk at Skyrah Fantasy Roleplay, and Return to Havenhollow, put together by the Holiday Appreciation Association (HAA) team. As the name suggests, this is intended to be a walk through the stuff of nightmares, although there is also a hunt involved as well – find the ten pumpkins, and you go and claim your prize at the end. The fall delivers you to the start of your actual journey. Here you’ll find instructions and notes on the hunt, and the opportunity to grab a pumpkin lantern (which you should). The instructions suggest trying things in Mouselook. This can be tricky / frustrating at times, but if you’re comfortable navigating in Mouselook, I really recommend that you follow the suggestion; it makes for a much more involved journey. Also make sure you accept the region windlight (or set your viewer’s time to midnight), and that you have sounds enabled. Then, when you’re set, follow the bloody arrow. What follows is a tortuous route through various locations – all reached on foot, each of which has its own look and feel, and perhaps a surprise or two. The themes of the locations are perhaps to be expected, given this is a nightmare: the bloody cold store, circus tents with the kind of clowns you most assuredly do not want to have as entertainment at your young one’s birthday party, slimy sewers, ghostly woodlands, and so on, but they all work rather well, especially when in Mouselook. Along the way, you’ll find the pumpkins for the hunt (if you decide to collect them) dotted around, some obvious, some perhaps not so obvious (you might want to look behind you in places, despite the warnings not to!). 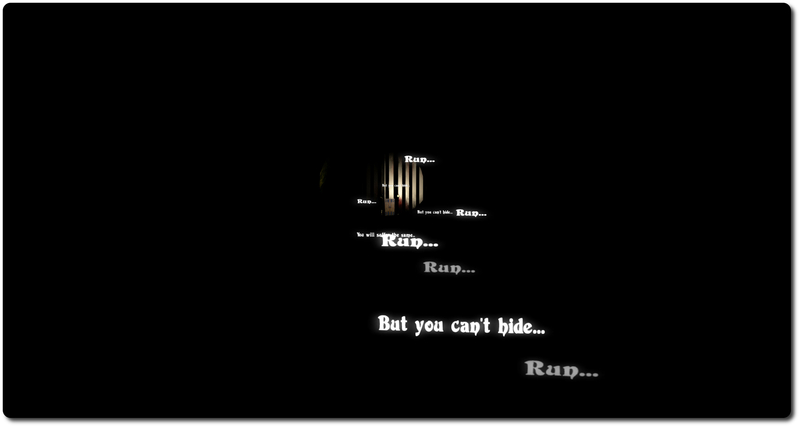 Nightmare Walkthrough: words of encouragement? At the end of the walk is a maze. This is where you really should be in Mouselook. The limited amount of light from your lantern not only makes this a genuine challenge, it can give rise to a feeling of being trapped, adding to the desire to find the way out. The latter does take time, so try not to give into frustration and then hopping out of Mouselook (if you’re using it). Once you have found your way to the doors and freedom, you can either teleport off to the Dark Giza Fantasy mall (or wherever you like), or you can deposit your collected pumpkins, claim your prize and then teleport off. 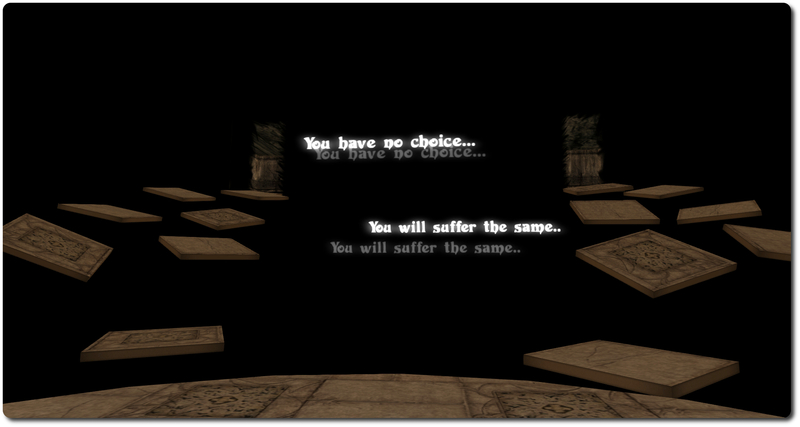 The first-person / Mouselook element of the Walkthrough can make it fun. There’s less gore evident than the Haunted House Tour, which some might prefer, and the ability to wander for yourself makes it perhaps a tad more immersive. While it is not designed with the Rift in mind, given the intended way people are to try to find their way around the place, it might actually offer itself to those who have a Rift. I’d perhaps liked to have seen a few more surprises while trying to find my way through the maze. It can get a bit dry after a while, especially when in Mouselook, where there is always the temptation to simply tap the ESC key. That said, however, the Walkthrough is nicely immersive, and seems to be going down well with the people taking part.